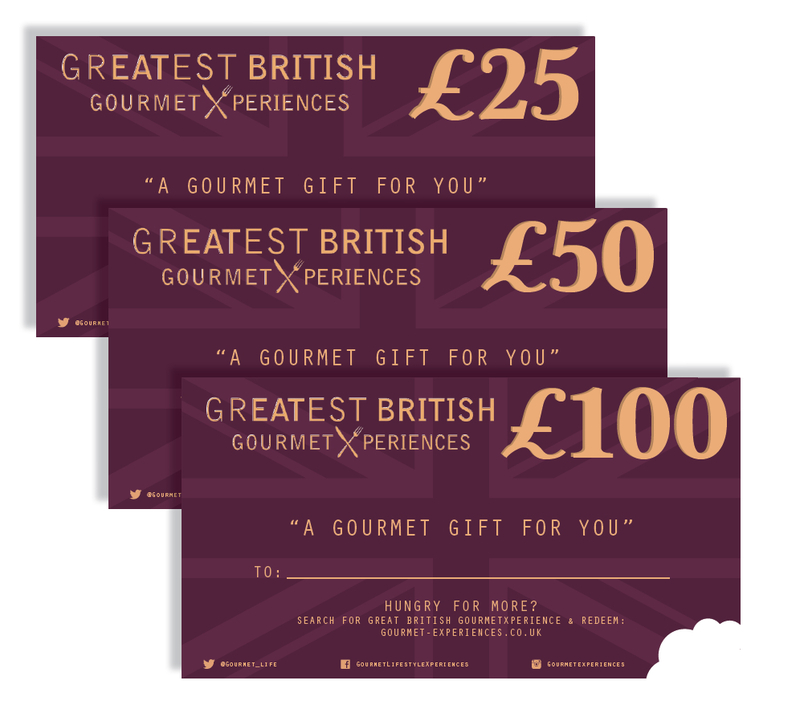 ‘GREATEST BRITISH GourmetXperience Monetary Gift Certificates’ are accepted at over 250 accredited independent restaurants, hotels, cookery schools & artisan producers Nationwide. Expiry Date: 9 months from purchase. Extensions available. “GREATEST BRITISH GourmetXperience” Monetary gift certificates are accepted at over 250 independent accredited restaurants, hotels and cookery Schools Nationwide, subject to availability. Each can be redeemed towards any participating venue related purchases, as cash. No change given for part redemption. Valid for 9 months from purchase. By purchasing you agree to our T&C’s. Can’t decide on your GourmetXperience? Purchase one of our ‘Monetary Certificates’ of any denomination, which can be redeemed towards any participating venue related purchases, as cash. With over 250 accredited restaurants, cookery schools and hotels to choose from, you will be spoilt for choice. The gift of food and hospitality can create memories and eXperiences that last. Search our regularly updated list of where to redeem. Follow instructions on your gift. RECIPIENT: Once gifted the lucky recipient simply follows the instructions to re-visit our dedicated redemptions page to search their desired venue to redeem. Vouchers treated as cash towards any purchase subject to availability. No refunds.